Here is your portfolio entry - to be handed to me Friday week. 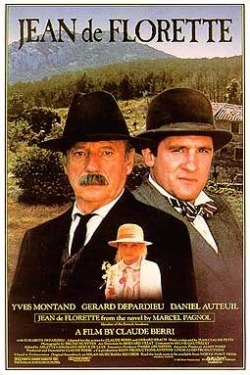 In Jean de Florette, examine the theme of betrayal as it pertains to the family unit. Ugolin—pretends to be his friend, but in a strange way actually becomes his friend a well as his betrayer, in a word, he is like Judas. – Friendship – lends him the mule at the start to plough, water from the well, lends a hand with the tools off the back of the trailer. Brings him wine, snails for the wife. In a moment of guilty regret he brings Jean the tiles. Betrayer – He breaks the tiles in advance. Papet – He is complicit (an accomplice) in the act of hiding the water and he spurs on Uglolin to drive them out. The village folk. – Theirs is a betrayal of omission! They omit to tell the family that a spring exists. They all know that there is one on the land. Innocence – being without sin, or without having committed a crime in thought or in deed. Naivety - bad judge of character, a bad judge of a situation, gullible and inexperienced. Love – life, the countryside including the idyllic and bucolic and pastoral aspects – He refers to it as the countryside of famous French writers. He loves his wife. The necklace incident would break a fella’s heart. Towards his daughter. He loves his music. He plays. Fatherhood – is he a good father? Watering can. Passing him up the cement for the tiles. Telling her not to judge. (She has certainly be influenced by her beautiful father, and we see this when she takes up his harmonica and gives it a tentative toot. Please give to examples of each and comment on each example.